Eiraku Hozen. 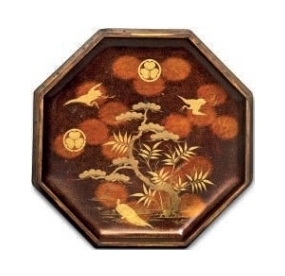 Bowl with Clouds and Cranes, Edo period (1615–1868). 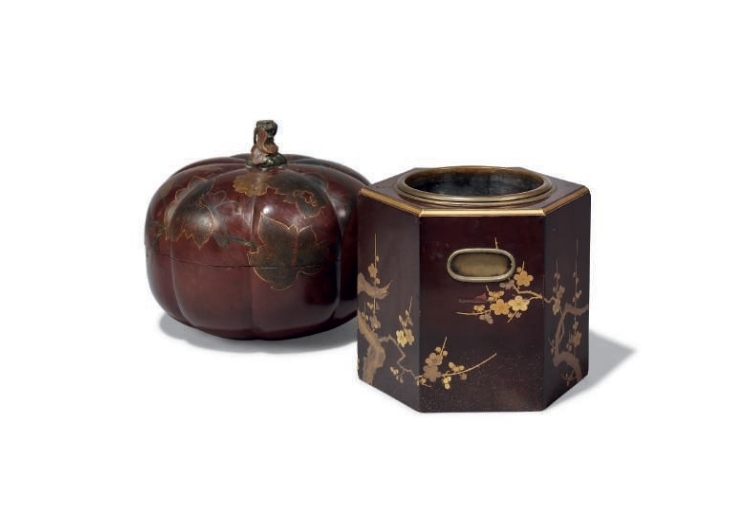 Porcelain with red and gold overglaze, 3.58 x 4.8 x 4.8 inches. 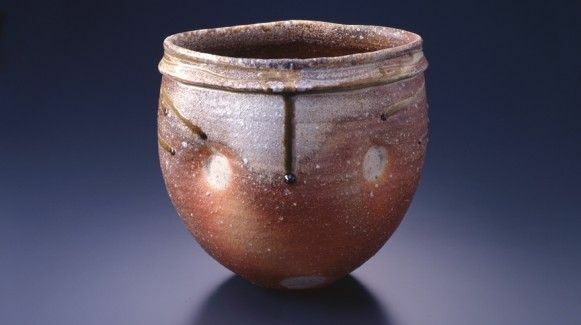 Courtesy of Shigaraki Ceramic Cultural Park, The Museum of Contemporary Ceramic Art. GRAND RAPIDS, MICH.- Frederik Meijer Gardens & Sculpture presents a once-in-a-lifetime exhibition of Japanese art, Splendors of Shiga: Treasures from Japan. This major display, exclusive to Meijer Gardens, opened to the public on January 30th and features more than 75 iconic works of art, most of which have never been seen outside of Japan. Timed to anticipate and coincide with the opening of The Richard & Helen DeVos Japanese Garden, this exhibition features exceptional hand-painted scrolls and screen paintings, centuries-old Buddhist statuary and devotional objects, meticulously designed ancient and contemporary kimonos, meaningful tea ceremony objects and exceptional varieties of famed Shigaraki and Shiga-area pottery. 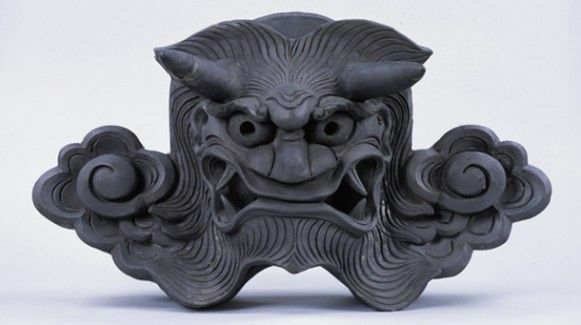 Stoneware roof tile with gargoyle, Onigawara, Edo period (1615-1868). 14.96 x 24.41 x 11.81 inches. Collection of Omihachiman City. Courtesy of Omihachiman City Municipal Kawara Museum. 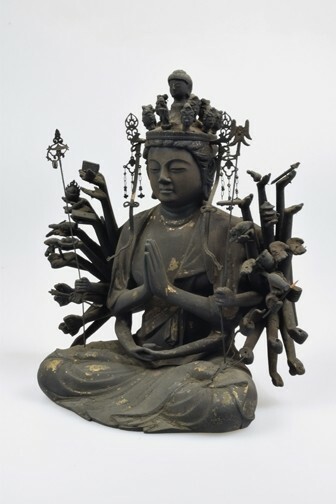 Resulting from the 40-year sister-state cultural relationship between Michigan and the Shiga Prefecture, Splendors of Shiga: Treasures from Japan will be displayed in three themes: Winter (January 30-March 22), Spring (March 28-June 4) and Summer & Fall (June 10-August 16). The exhibition will be temporarily closed March 23–27 and June 5–9 for changing of artifacts on display. In addition, objects from the 9th century through the 20th century will be organized in one of several thematic areas: Devotional Treasures, The Landscape, Beauty in Daily Life, The Four Seasons and Ceremonial and Domestic Ceramics. The cross-integration of work allows for a more complete understanding of the foundations of Japanese art and it’s highly developed sense of aesthetic and integration into its culture. Moriguchi Kakō. Flowers, 1983. 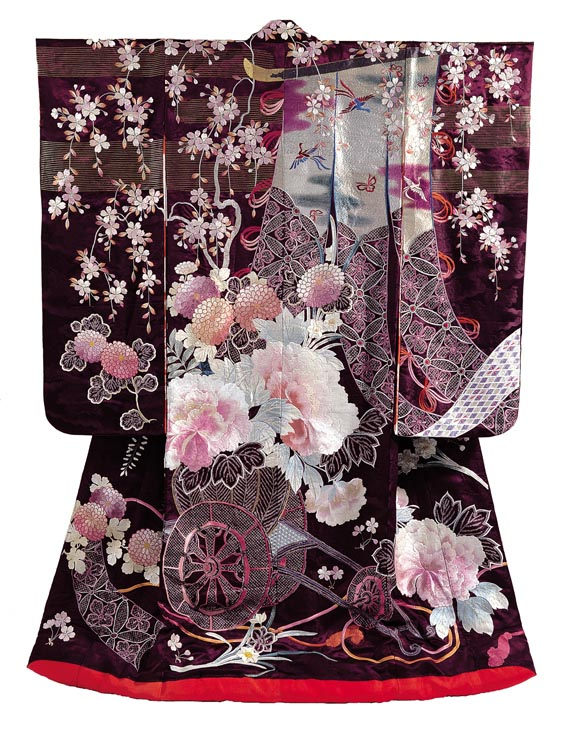 Kimono, Yuzen-style dyed silk, 66.93 inches long. Courtesy of The Museum of Modern Art, Shiga. 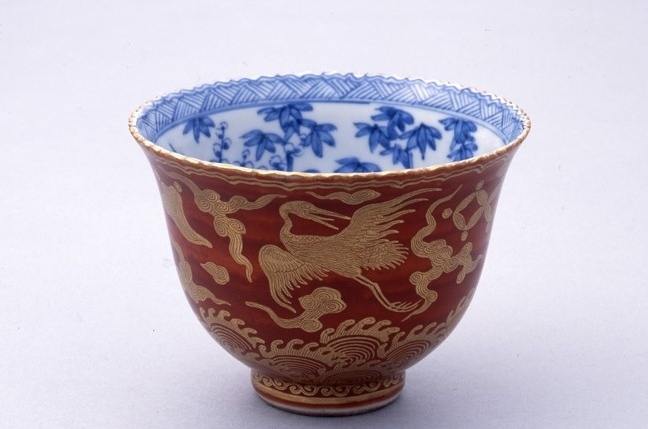 The pieces featured in this exhibition are on loan from Shiga’s three primary art organizations: Museum of Modern Art, Shiga; Museum of Shiga Prefectural Government, Biwako-Bunkakan; Shigaraki Ceramic Cultural Park, with important additional loans from the Binman-ji Temple, Daiko-ji Temple, Hando Shrine, Kannon-ji Temple, Museum of Omihachiman City, Saimyo Temple and private collections. 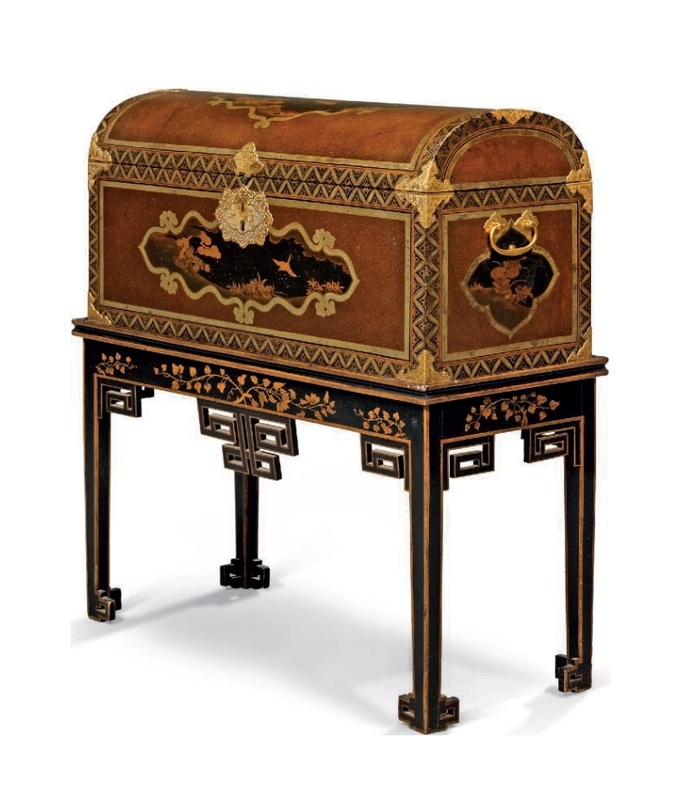 Provenance: Perrin Antiquaires, Paris, from whom purchased by Principessa Ismene Chigi Della Rovere in 1975. 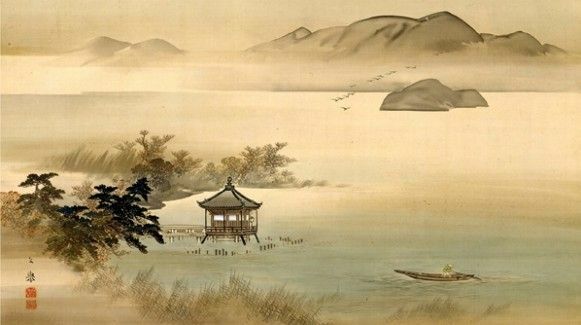 Artist unknown, Places Along the Tokaido. 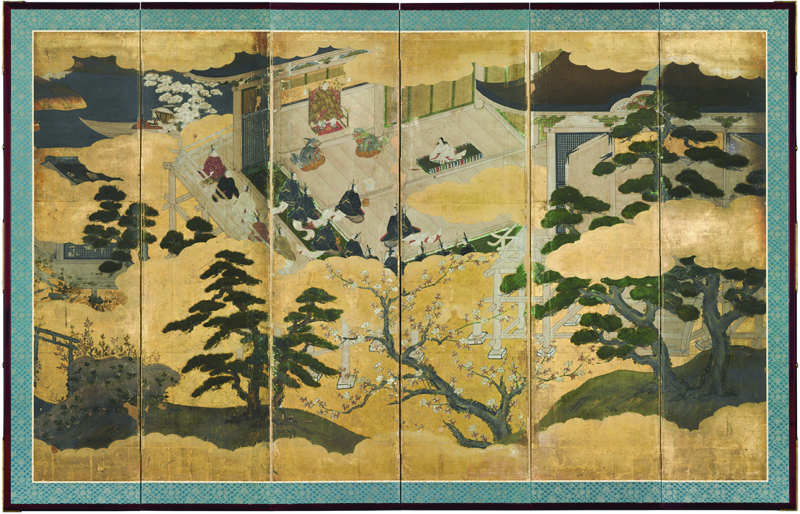 Pair of six-panel screens; ink, mineral colors, gofun, and gold on paper with gold leaf; Edo period, circa 1800; H. 66¾ x W. 146½ in. each (169.5 x 372.1 cm). Courtesy Erik Thomsen Gallery. NEW YORK, NY.- Over a dozen of Europe and the United States’ leading dealers of Japanese art will present exhibitions during New York’s Asia Week, from March 13 to March 22, 2015. 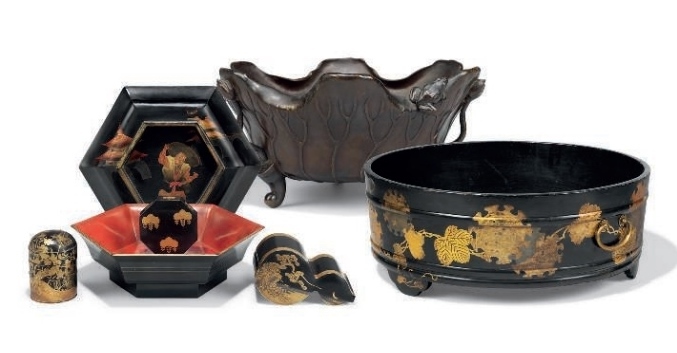 The wide spectrum of exhibitions will highlight the breathtaking range of the arts of Japan, from ancient terracottas to scenes of nature and of Japan’s emergent middle class entertainment to recent photographs of bodies emblazoned with tattoos. In 2015, the Japanese Art Dealers Association will hold its seventh consecutive collaborative exhibition of Japanese art by leading dealers in the field – the only regularly held mini-fair during Asia Week, one that dates back to 2009. 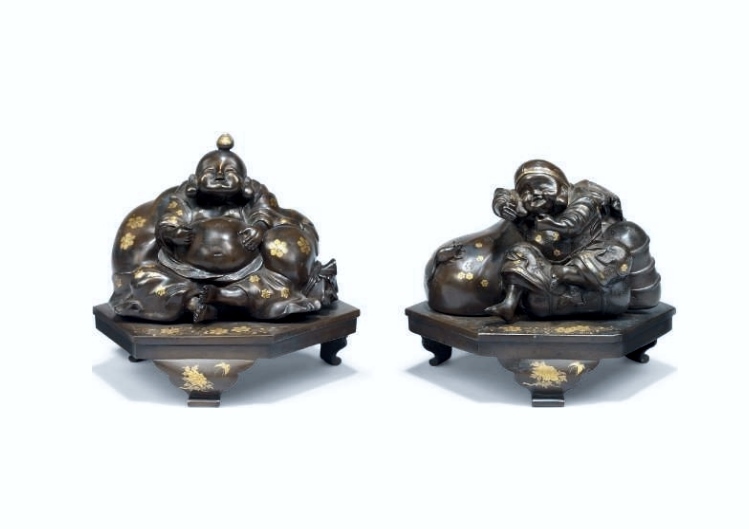 JADA 2015: An Exhibition by the Japanese Art Dealers Association will feature over 60 works of art that span 2,000 years. The exhibition will be held at the Ukrainian Institute of America, 2 E. 79 St. in New York, for three days only, from March 14 through March 16, 2015. 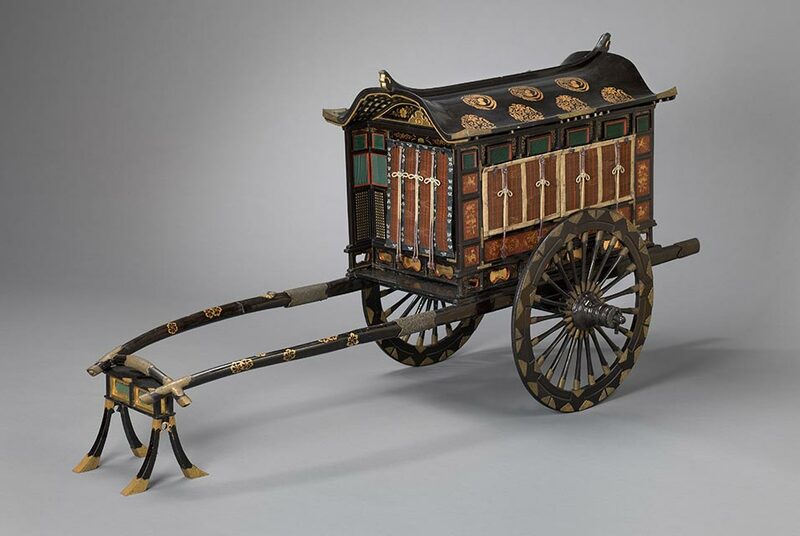 Asia Week draws to New York curators, art historians, collectors, and aficionados from all over the world for a week of exhibitions that reveal long-hidden masterpieces and fine works of art. It was established in by Sotheby’s in 1992. Among the works in JADA 2015 will be an early bronze Dōka (ritual spear blade) from the Yayoi Period (400 BC-AD 300), exhibited by Mika Gallery, that is in exceptionally fine condition. An early and important 15th century calligraphy, Zen no Kaname, Principle of Zen, by Motsurin Shōtō (d. 1419) will be shown by Koichi Yanagi Oriental Fine Arts. 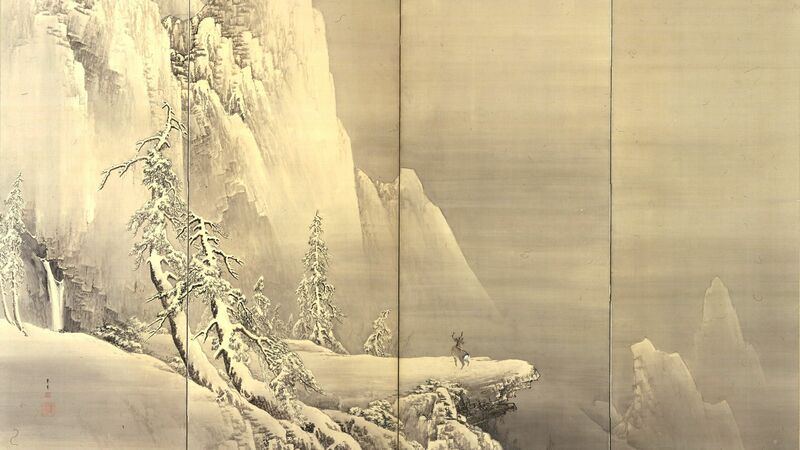 Shōtō was a prominent calligrapher of the Muromachi period (1392-1573) and a disciple of Ikkyū Sōjun (1394-1481), the noted Zen Buddhist monk and poet. The provenance of Zen no Kaname, Principle of Zen includes Jinkōin Temple, one of the three largest Shingon sect temples in Kyoto. Other highlights include a remarkable and historically notable pair of circa 1800 six-panel screens, Places Along the Tōkaidō, a highly detailed work that pre-dates Utagawa Hiroshige’s landmark print series, The 53 Stations of the Tōkaidō. 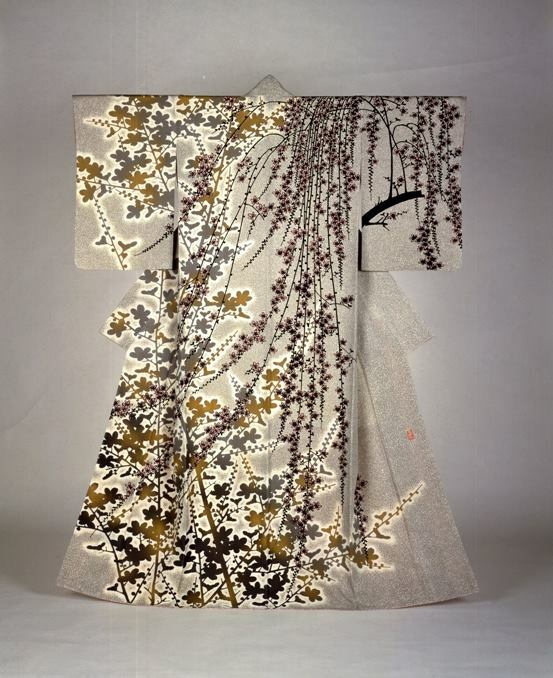 The screens feature hundreds of travelers in various landscapes and are both remarkably beautiful and a document that recalls a transitional moment in Japanese culture. They will be exhibited by Erik Thomsen Gallery. Dating from 1889, nearly a century later, is a pair of hanging scrolls by the 19th century master of several media, Shibata Zeshin (1807–1891), Carp Swimming among Water Plants. The scrolls illustrate the artist’s exquisite technique and his sense of play: the expressions between the creatures is all too human, a quixotic merging of nature and man. 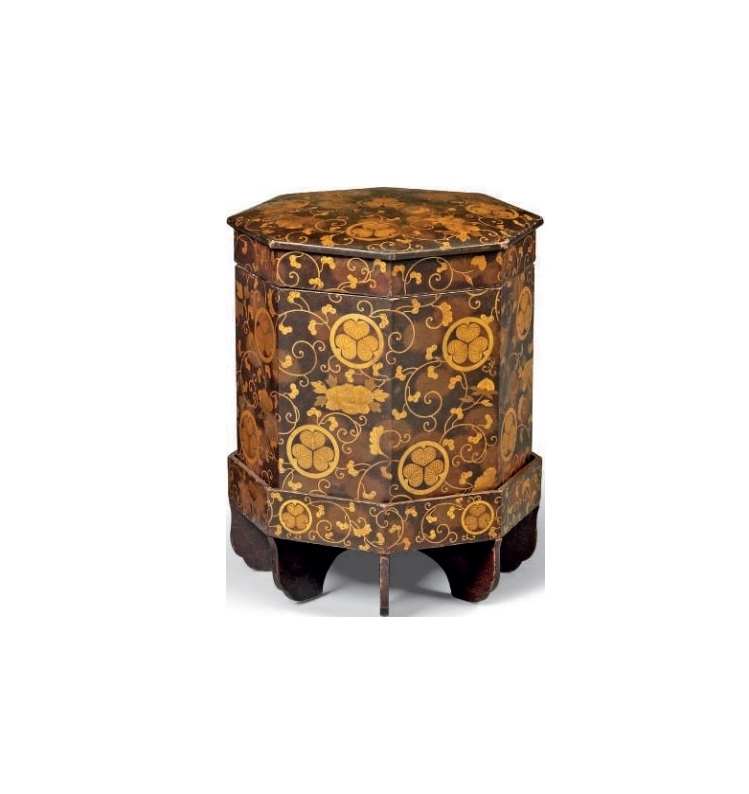 The scrolls will be presented by Sebastian Izzard LLC Asian Art. Illustrating a love of nature derived from spiritual adulation common in Japanese art are Landscapes and Birds of the Four Seasons, a pair of ink and color on gold-leaf six-panel Kyo-Kano screens (school of Mitsunobu/Takanobu) that date to the early 17th century. The beautifully painted screens, of rich colors and dynamic composition, are in pristine condition and were once in the Kyushu Daimyō collection, which included screens now in the collections of the Art Institute of Chicago and the Rijksmuseum in the Netherlands. They will be shown by Leighton R. Longhi, Inc. Oriental Fine Art. In addition to JADA 2015, the members of JADA will hold exhibitions at their individual galleries: Erik Thomsen Gallery; Koichi Yanagi Oriental Fine Art; Leighton R. Longhi, Inc. Oriental Fine Arts; Mika Gallery; and Sebastian Izzard LLC Asian Art. 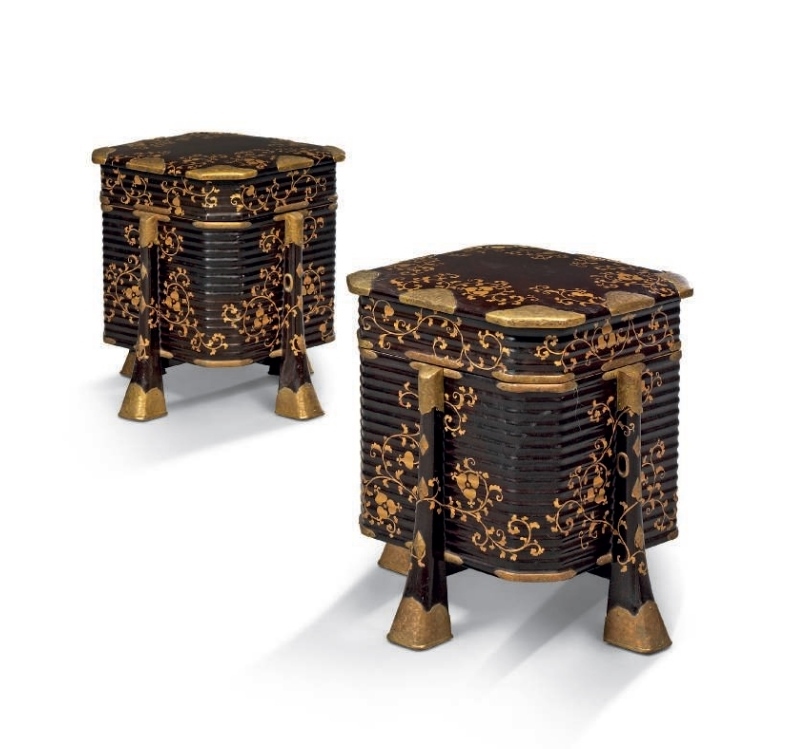 Eight prominent galleries affiliated with JADA – one from Asia, two from Europe, and five from the United States – that handle Japanese art will be exhibiting during Asia Week as well: Bachmann Eckenstein Japanese Art, of Basel, Switzerland; Floating World Gallery, of Chicago, IL; Giuseppe Piva Japanese Art, of Milan Italy; Hiroshi Yanagi Oriental Art, of Kyoto, Japan; Onishi Gallery, of New York, NY; Ronin Gallery, of New York, NY; Scholten Japanese Art of New York, NY; and The Art of Japan, of Medina, WA. 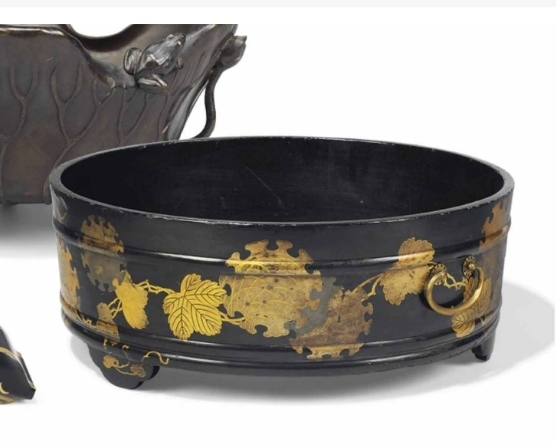 The auction house Bonhams will be active during Asia Week, as well, and Christie’s will be holding its annual auction of Japanese art in April. Three notable and distinguished galleries that handle Japanese art have become affiliated with JADA in 2015 but will not be exhibiting in New York during Asia Week. Each is based in London, England: Grace Tsumugi Fine Art, Gregg Baker Asian Art, and Malcolm Fairley Ltd.